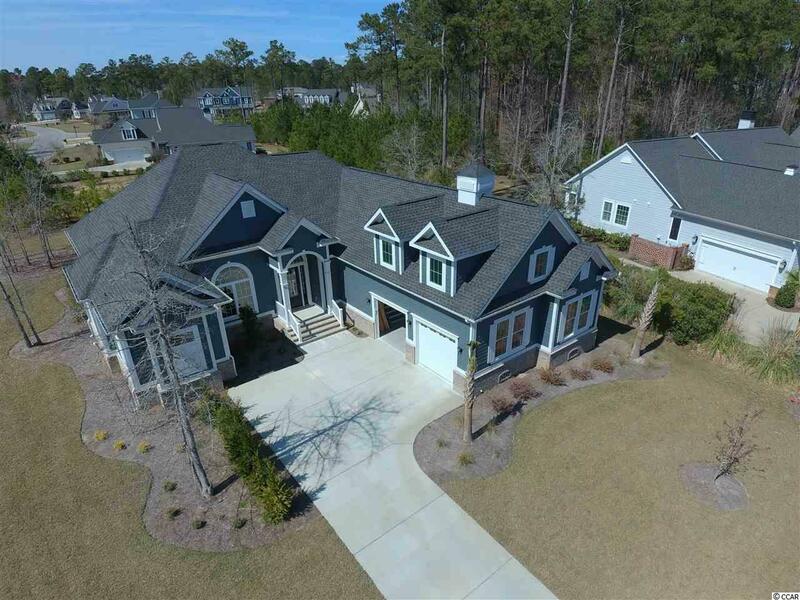 Exquisite custom built home on half acre corner lot in the popular gated community of Collins Creek Landing in Murrells Inlet, SC. This spectacular house is going to be difficult to do justice with words so you should plan a tour ASAP. Let's start with the kitchen and it's Level 4 granite counter tops and high end, soft close cabinets. How about a kitchen with stainless steel GE appliances including natural gas cook top range w/oven, a wall hung microwave and 2nd oven, side by side fridge, wine/beverage fridge, dishwasher and a walk-in Butlers pantry. A working island is in the middle with a buffet like expanse of counter space on one side and a breakfast bar on the other. This is all open to an eating/flex space and the large living area that both have double tray ceilings and there handsome crown molding thru-out. There is also an additional area that is perfect for formal dining, an office or study. Now, let's talk about the Master Suite because it is super special!! This space occupies one whole half of the home with a custom-built 2 person walk in shower with bench seating, 2 vanities, 2 water closets and 2 HUGE clothing closets then leading to the sleeping quarters with presidential ceilings and a door to the back porch and entertaining area. Speaking of the back of the house, it's spectacular with a built in wet bar that is already piped for a gas grill. This is an entertainment dream spot and the yard has plenty of room to add a pool! Back inside thru the tri-sliding doors you can visit the additional bedrooms that each have their own baths, the powder room, the bonus room and the laundry/utility room complete with a wash sink. I don't want to stop before telling you about the 2 car garage that is also big enough for your golf cart, bikes and a work bench...and 2 big storage closet too! 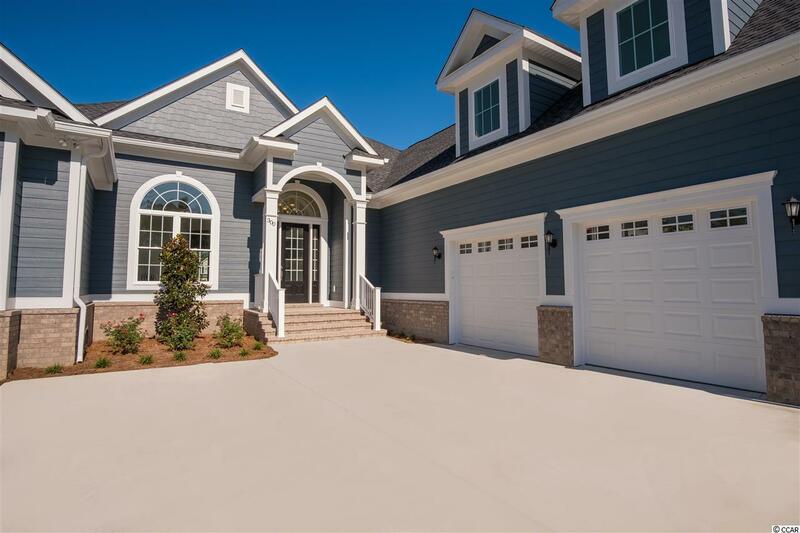 This home is easy to keep comfortable since it has 2 high efficiency heat/cool systems and 3 thermostat zones - 1 for the bonus room, 1 for the Master Suite and 1 for the rest of the house. Lastly, I give props to the Builder, J. Lorton & Co., Inc. for using energy efficient building concepts, high efficiency insulation's, Super high end finishes such as cabinets, granite counter tops, tip-top of the line crown moldings and trims, 8 ft doors, and hand hewn, wood look laminate, COREtec luxury vinyl and tile flooring. Their 35 years experience in building certainly shows in this place!! 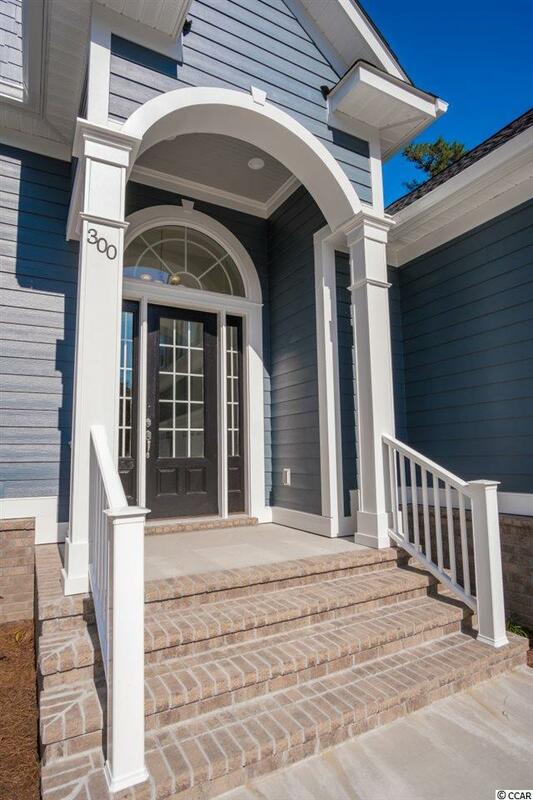 In summary....COME SEE THIS GORGEOUS HOME! !